Do you love cheap accommodations? And free apps for booking said accommodations? Right. Of course you do. There’s a near infinite number of choices for mobile budget travel apps and websites. But I’ve always personally been keen on Hostelworld.com. 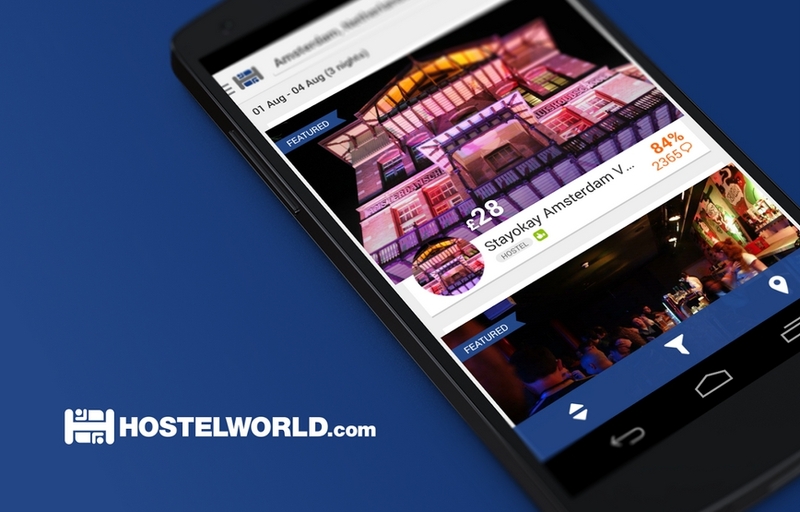 If you’re also an Android smartphone user, you’ll want to check out Hostelworld.com’s new mobile app for booking hostels anywhere in the world. Download the brand new free app from Hostelworld to find and book hostels easily on the go, anywhere in the world. It’s perfect for booking accommodation before a trip, or finding last-minute hostels in cities like London, Paris, New York, San Francisco, and Chicago while traveling. Just like the Hostelworld.com website, the new Hostelworld mobile app was designed from the ground up to be extremely user-friendly. A simple, uncluttered, easy-to-use interface makes it easy to search for budget accommodations anywhere in the world from anywhere in the world. Travelers can search and sort by price, rating or name and filter for any type of accommodations, including, not just hostels, but hotels and B&Bs as well. Each hostel features honest, up-to-date pictures, along with complete maps. What’s more: the app is available in a ton of languages, including English, French, German, Spanish, Italian, Brazilian Portuguese, and Swedish. In total, users can shop more than 30,000 types of cheap accommodations in more than 6,000 destinations (including 180 major cities) worldwide. This includes up-to-the-minute availability and last-minute opportunities as well. Bottom line: if you’re traveling anywhere in the world, Hostelworld likely has your accommodations covered. Lastly, the app (like the Hostelworld site) features more than 3.5 million verified traveler reviews. While many sites “pad” their user reviews (I’m trying to be kind here), I’ve personally found Hostelworld’s reviews to be honest and legit. Available now for free! Download via the Google Play Store.